Tears of joy for Emily Deschanel and Carrie Ann Inaba! 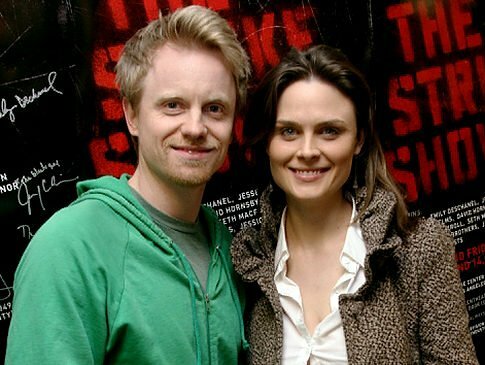 Emily Deschanel of Bones fame, and her husband, It’s Always Sunny in Philadelphia actor David Hornsby are expecting their first child, Emily’s rep announced today. The couple was married on September 25, 2010 in a small private ceremony at Pacific Palisades in Los Angeles after dating for three years. No month for delivery of the baby was given, and there’s no word yet on how – or if – this pregnancy will affect Emily Deschanel’s character Dr. Temperance Brennan on FOX’s Bones. I’m not really one for cheesy marriage proposals, but I have to admit that the way Carrie Ann Inaba’s boyfriend Jesse Sloan proposed to her almost made me cry. Almost. While sitting in as guest host on Live! With Regis and Kelly, the beloved Dancing with the Stars judge got the shock of her life. Regis and other folks with the morning talk show were in on the surprise, and Regis did an excellent job of not giving anything away until the time was right. Reading what he said was a letter from a male viewer asking for advice on how to propose to his girlfriend, Regis set the plan in motion…..
53 queries in 1.418 seconds.